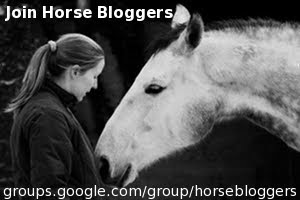 We have pledged to visit a different hostelry in the locale every Friday for the next year and bring to you, our passionately interested readers, our rating and assessment of each and every one. Yes. It's a restaurant review. 2. Rule one does not apply if the Plat du Jour is Andouillette. So, no, thank you France, you make great food, but we're steering clear of the andouillette from now on. We are very familiar with Céreste, having spent three months of last winter there, and we are looking forward to re-visiting our favourite eateries there, all in the interest of research, you understand. The Café de France was the LSH's favourite place to go for a cup of coffee to take a break from work. It's a modern but basic café, situated on the (busy) main street, with tables and chairs outside which catch the winter sun very well. They've always served food of some sort, but at the moment, the chef/manager from another bar up the street is working there. His own premises suffered damage in a fire just before we got here, and he seems to have come to some arrangement with the owners of this place. Keen to support him when times are bad, we decided that the Café de France would be our next TGIL venue. The sun was beaming down, it was a cosy 15C, so we (the LSH, Granny and I) settled ourselves at an outside table and indicated we were going to eat. 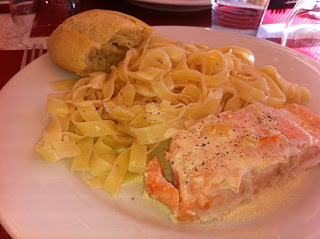 There was a Plat du Jour, of Salmon fillet with tagliatelle, but I fully expected to be offered something else as well. However, something got lost in translation, because after setting our table, filling our water glasses and enquiring if we wanted anything to drink, three plates of Salmon Fillet with Tagliatelle in a lemon cream sauce were brought to the table. Now I'm not great at eating fish, but it seemed churlish to send it back, so the three of us tucked in. It was simple but tasty, the salmon was nicely cooked, with a good texture, the sauce was magnifique! The baguette was warm and mopped up the leftover sauce very well indeed. The only negative was that some of my pasta was not quite cooked. We had a choice of desserts, Tarte Normande - an open apple pie - or Coulant au Chocolat, a chocolate pudding with a gooey, sticky inside. Granny and I had the Tarte Normande and the LSH had the Coulant au Chocolate. The tarte was good, served with a little Chantilly creme on the side and with a little caramel sauce. The coulant was the winner though, the LSH said it was the best he's had, and he's tried it in a few places! We all had coffee to finish, served with those skinny Speculos biscuits that I love. This lunch was typical of many cafés in France, simple food, well presented, and great value. The cost for a main course and dessert was €12 per person, and the coffee was €1.50. Highly recommended if you're traveling along the N100 between Apt and Forcalquier at lunchtime on a sunny day. They also do a good panini. Oh! I think that I would like the salmon dish. I KNOW that I would like the chocolate cake. Is it a sin to call a French dessert molten chocolate lava cake? You are brave! I am a picky eater, this would never work for me! 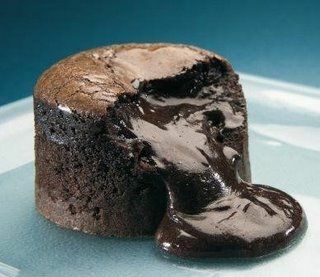 But the Coulant au Chocolat looks like something we call a Lava Cake. Yum! but soo rich. Being brave and trying new things is part of the fun!